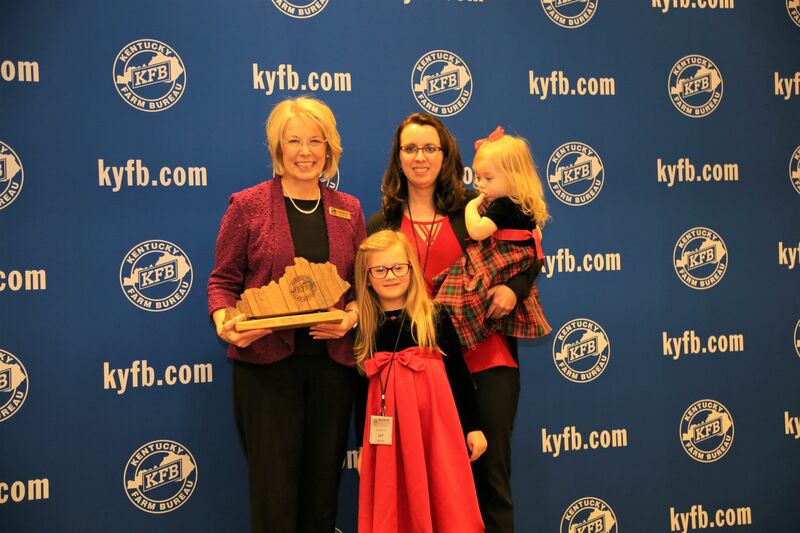 Recognized for the achievements of its women’s program this year, Harlan County Farm Bureau received the 2018 Gold Star Award of Excellence during Kentucky Farm Bureau’s annual meeting in Louisville. The award honors county Women’s Committees for active participation in leadership development programs, agricultural promotion, educational initiatives and numerous other aspects of support to the local Farm Bureau. Kentucky Farm Bureau, with more than 473,000 member families statewide, is the state’s largest general farm organization. Approximately 2,000 members attended KFB’s 99th annual meeting in Louisville, November 28-December 1, to recognize this year’s individual and organizational achievements and adopt policy for 2019. 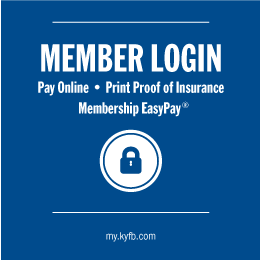 To view all the updates released from this year’s annual meeting, visit KYFBNewsroom.com. Lindsey Boggs and Mary Ann Caldwell of the Harlan County Farm Bureau Women’s Committee, accept the 2018 Gold Star Award of Excellence from Vicki Bryant, chair of the Kentucky Farm Bureau state Women’s Committee. The award was presented during a November 30 recognition program at the 99th Kentucky Farm Bureau annual meeting.